Fresh waves of violence in Syria's brutal civil war will place the lives of more than 1 million children at imminent risk. All eyes were on Idlib today as the presidents of Iran, Turkey and Russia met to discuss the seven-year-long Syrian conflict. The leaders failed to reach a ceasefire agreement, raising fears that the densely populated northwestern province — the Syrian opposition's last major stronghold —will be the target of a major assault. As many as 3.5 million people, nearly half of them civilians displaced from other parts of Syria, live in Idlib. 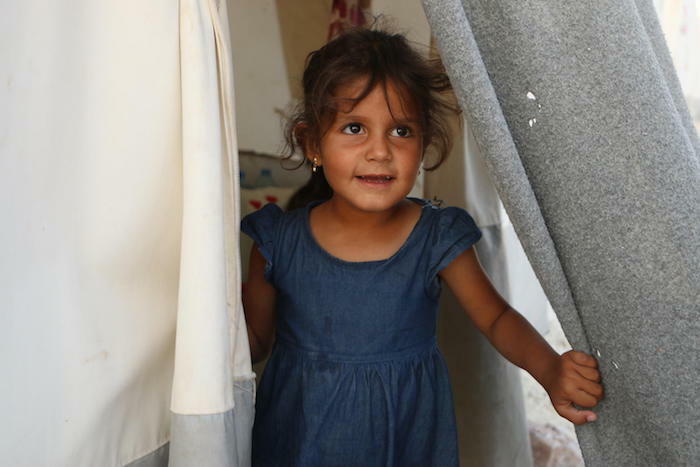 "Thousands of children in Idlib have been forced to leave their homes multiple times and are now living in overcrowded makeshift shelters, with food, water and medicine in dangerously short supply," said UNICEF Executive Director Henrietta H. Fore. "A fresh wave of violence could leave them trapped between fighting lines or caught in the crossfire, with potentially fatal consequences." UNICEF renews its call for all parties to the conflict to abide by their obligations under international humanitarian and human rights law. "Our request is simple: Protect children," said Fore. "Give us safe, sustained and unconditional access to them. Allow and enable those who want to leave to do so safely and voluntarily." While direct humanitarian access is limited, UNICEF is working with local partners in Idlib, western Aleppo and northern Hamma to deliver lifesaving assistance to displaced civilians and those trapped in their homes. This includes providing water, sanitation, hygiene, health, nutrition, protection and education services and supplies. UNICEF is also prepositioning supplies in preparation for the expected displacement of Idlib's civilians. "Like other humanitarian agencies, we are doing the best we can, but this is far from enough," said Fore. "It is time for the powers that be to face up to their responsibilities to children."